It’s been a while since we’ve heard from our good friend Grand Theft Auto V. The last trailer was in November and the latest thing we got recently was the awesome looking box art but we’re getting more soon. Not just one but THREE trailers will be out on April 30. Each trailer will most likely spotlight one of the three playable protagonists. 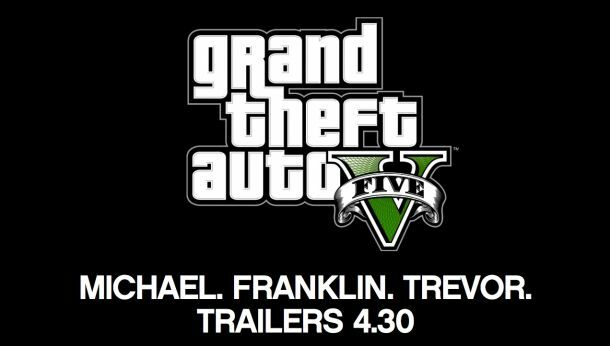 The old-timer Michael, The crazy Trevor and the street thief Franklin. Not sure if any of it will be directly related to the live action images leaked earlier. GTA V is still on track for September 17 on Xbox 360 and PS3. Let us know in the comments if you’re getting excited for the game or post in our forums.